Gandhi's remark came after Modi took a jibe at Singh in his reply to a debate in Rajya Sabha on the Motion of Thanks on President's Address. 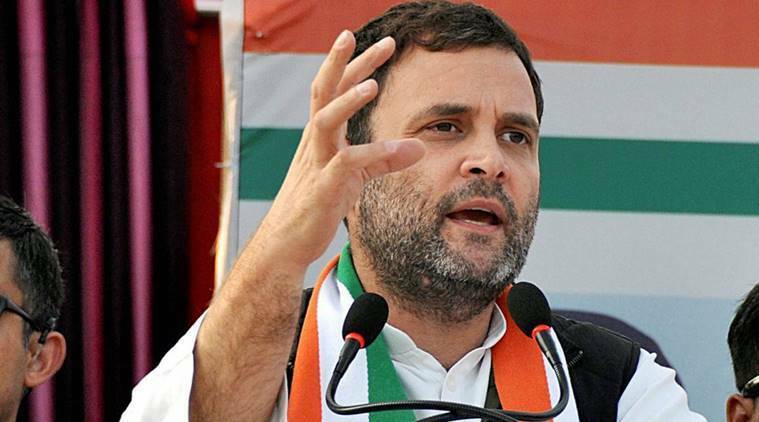 Congress Vice President Rahul Gandhi on Wednesday hit out at Prime Minister Narendra Modi for his raincoat jibe at former prime minister Manmohan Singh saying the event was “saddening and shameful”. “When a Prime Minister reduces himself to ridiculing his predecessor-years his senior, he hurts the dignity of the parliament & the nation. He demeans his position and himself more than anyone else. Today’s events were saddening and frankly; they were shameful,” Gandhi tweeted. Gandhi’s remark came after Modi took a jibe at Singh in his reply to a debate in Rajya Sabha on the Motion of Thanks on President’s Address, prompting the Congress to stage a walkout.